Community groups in south-east Northumberland are being encouraged to bid for support from a funding scheme. Community Chest, run by Northumberland County Council, awards grants of up to £5,000 to support community groups and organisations county-wide. The Cramlington Voluntary Youth Project recently received a grant of £5,000 to support the costs of computers, music equipment and a new archery facility for the young members. 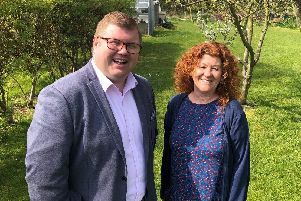 Coun Nick Oliver, Cabinet Member for Corporate Services at Northumberland County Council, said: “The Community Chest Fund is a fantastic opportunity for local community groups and organisations to enhance their services which will ultimately benefit the local community.